Organ donation is when a person allows healthy transplantable organs and tissues to be removed, either after death or while the donor is alive, and transplanted into another person. Common transplantations include: kidneys, heart, liver, pancreas, intestines, lungs, bones, bone marrow, skin, and corneas. Some organs and tissues can be donated by living donors, such as a kidney or part of the liver, but most donations occur after the donor has died. As of August 1, 2016, there are 120,004 people waiting for life-saving organ transplants in the US. Of these, 96,645 await kidney transplants. While views of organ donation are positive there is a large gap between the numbers of registered donors compared to those awaiting organ donations on a global level. Organ donors are usually dead at the time of donation, but may be living. For living donors, organ donation typically involves extensive testing before the donation, including psychological evaluation to determine whether the would-be donor understands and consents to the donation. On the day of the donation, the donor and the recipient arrive at the hospital, just like they would for any other major surgery. For dead donors, the process begins with verifying that the person is hopelessly dead, determining whether any organs could be donated, and obtaining consent for the donation of any usable organs. Normally, nothing is done until the person has already died, although if death is inevitable, it is possible to check for consent and to do some simple medical tests shortly beforehand, to help find a matching recipient. The verification of death is normally done by a neurologist (a physician specializing in brain function) that is not involved in the previous attempts to save the patient's life. This physician has nothing to do with the transplantation process. Verification of death is often done multiple times, to prevent doctors from overlooking any remaining sign of life, however small. After death, the hospital may keep the body on a mechanical ventilator and use other methods to keep the organs in good condition. Donors and their families are not charged for any expenses related to the donation. The first living organ donor in a successful transplant was Ronald Lee Herrick (1931–2010), who donated a kidney to his identical twin brother in 1954. The lead surgeon, Joseph Murray, won the Nobel Prize in Physiology or Medicine in 2010 for advances in organ transplantation. As medical science advances, the number of people who could be helped by organ donors increases continuously. As opportunities to save lives increase with new technologies and procedures, the number of people willing to donate organs needs to increase as well. In order to respect individual autonomy, voluntary consent must be determined for the individual's disposition of their remains following death. There are two main methods for determining voluntary consent: "opt in" (only those who have given explicit consent are donors) and "opt out" (anyone who has not refused consent to donate is a donor). In terms of an opt-out or presumed consent system, it is assumed that individuals do intend to donate their organs to medical use when they expire. Opt-out legislative systems dramatically increase effective rates of consent for donation (the so-called default effect). For example, Germany, which uses an opt-in system, has an organ donation consent rate of 12% among its population, while Austria, a country with a very similar culture and economic development, but which uses an opt-out system, has a consent rate of 99.98%. Because of public policies, cultural, infrastructural and other factors, presumed consent or opt-out models do not always translate directly into increased effective rates of donation. The United Kingdom has several different laws and policies for the organ donation process, such as consent of a witness or guardian must be provided to participate in organ donation. In terms of effective organ donations, in some systems like Australia (14.9 donors per million, 337 donors in 2011), family members are required to give consent or refusal, or may veto a potential recovery even if the donor has consented. Some countries with an opt-out system like Spain (36 effective donors per million inhabitants) or Austria (21 donors/million) have high donor rates and some countries with opt-in systems like Germany (16 donors/million) or Greece (6 donors/million) have lower effective donation rates. The president of the Spanish National Transplant Organisation has acknowledged Spain's legislative approach is likely not the primary reason for the country's success in increasing the donor rates, starting in the 1990s. Looking to the example of Spain, which has successfully adopted the presumed consent donation system, intensive care units (ICUs) must be equipped with enough doctors to maximize the recognition of potential donors and maintain organs while families are consulted for donation. The characteristic that enables the Spanish presumed consent model to be successful is the resource of transplant coordinators; it is recommended to have at least one at each hospital where opt-out donation is practiced to authorize organ procurement efficiently. Over 121,000 people in need of an organ are on the U.S. government waiting list. This crisis within the United States is growing rapidly because on average there are only 30,000 transplants performed each year. More than 6,000 people die each year from lack of a donor organ, an average of 19 people a day. Between the years 1988 and 2006 the number of transplants doubled, but the number of patients waiting for an organ grew six times as large. It has been estimated that the number of organs donated would double if every person with suitable organs decided to donate. In the past presumed consent was urged to try to decrease the need for organs. The Uniform Anatomical Gift Act of 1987 was adopted in several states, and allowed medical examiners to determine if organs and tissues of cadavers could be donated. By the 1980s, several states adopted different laws that allowed only certain tissues or organs to be retrieved and donated, some allowed all, and some did not allow any without consent of the family. In 2006 when the UAGA was revised, the idea of presumed consent was abandoned. In the United States today, organ donation is done only with consent of the family or donator themselves. In some cases doctors are reportedly removing pieces of tissue from already dead patients without consulting the patient of their families' consent. This is completely legal procedure. According to economist, Alex Tabarrok the shortage of organs has increased the use of so-called expanded criteria organs, or organs that used to be considered unsuitable for transplant. Due to the lack of donation it is leading some countries to try unconventional practice, creating a lot of controversy and loss of money. The University of Maryland School of Medicine there were five patients that received kidney transplants that obtained cancerous or benign tumors that were withdrawn from the organ. This raised many questions for the head surgeon, Dr. Michael Phelan who explained that "the ongoing shortage of organs from deceased donors, and the high risk of dying while waiting for a transplant, prompted five donors and recipients to push ahead with the surgery." Several organizations such as the American Kidney Fund are pushing for opt-out organ donation in the United States. A bill pending in the US House of Representatives, the Living Donor Protection Act of 2016, would amend the Family and Medical Leave Act of 1993 to provide leave under the act for an organ donor. If successful, this new law would permit "eligible employee" organ donors to receive up to 12 work weeks of leave in a 12-month period. 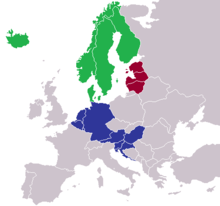 Within the European Union, organ donation is regulated by member states. As of 2010, 24 European countries have some form of presumed consent (opt-out) system, with the most prominent and limited opt-out systems in Spain, Austria, and Belgium yielding high donor rates. In the United Kingdom organ donation is voluntary and no consent is presumed. Individuals who wish to donate their organs after death can use the Organ Donation Register, a national database. The government of Wales became the first constituent country in the UK to adopt presumed consent in July 2013. The opt-out organ donation scheme in Wales went live on December 1, 2015 and is expected to increase the amount of donors by 25%. In 2008, the UK discussed whether to switch to an opt-out system in light of the success in other countries and a severe British organ donor shortfall. In Italy if the deceased neither allowed nor refused donation while alive, relatives will pick the decision on his or her behalf despite a 1999 act that provided for a proper opt-out system. In 2008, the European Parliament overwhelmingly voted for an initiative to introduce an EU organ donor card in order to foster organ donation in Europe. The Mental Capacity Act is another legal policy in place for organ donation in the UK. The act is used by medical professionals to declare a patients mental capacity. The act claims that medical professionals are to "act in a patient's best interest", when the patient is unable to do so. India has a fairly well developed corneal donation programme; however, donation after brain death has been relatively slow to take off. 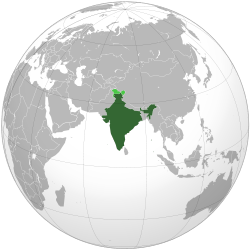 Most of the transplants done in India are living related or unrelated transplants. To curb organ commerce and promote donation after brain death the government enacted a law called "The Transplantation of Human Organs Act" in 1994 that brought about a significant change in the organ donation and transplantation scene in India. Many Indian states have adopted the law and in 2011 further amendment of the law took place. Despite the law there have been stray instances of organ trade in India and these have been widely reported in the press. This resulted in the amendment of the law further in 2011. Deceased donation after brain death have slowly started happening in India and 2012 was the best year for the programme. In the year 2012 besides Tamil Nadu other southern states too did deceased donation transplants more frequently. An online organ sharing registry for deceased donation and transplantation is used by the states of Tamil Nadu (www.tnos.org) and Kerala (www.knos.org.in). Both these registries have been developed, implemented and maintained by MOHAN Foundation. However. National Organ and Tissue Transplant Organization (NOTTO) is a National level organization set up under Directorate General of Health Services, Ministry of Health and Family Welfare, Government of India and only official organization. New Zealand law also allows for organ donation from deceased individuals. In 2013 organs were taken from 36 deceased individuals. Everyone who applies for a drivers license in New Zealand indicates whether or not they wish to be a donor if they die in circumstances that would allow for donation. The question is required to be answered for the application to be processed, meaning that the individual must answer yes or no, and does not have the option of leaving it unanswered. However, the answer given on the drivers license does not constitute informed consent, because at the time of drivers license application not all individuals are equipped to make an informed decision regarding whether to be a donor, and it is therefore not the deciding factor in whether donation is carried out or not. It is there to simply give indication of the person's wishes. Family must agree to the procedure for donation to take place. Only one country, Iran has eliminated the shortage of transplant organs – and only Iran has a working and legal payment system for organ donation. It is also the only country where organ trade is legal. The way their system works is, if a patient does not have a living relative or who are not assigned an organ from a deceased donor, apply to the nonprofit Dialysis and Transplant Patients Association (Datpa). The association establishes potential donors, those donors are assessed by transplant doctors who are not affiliated with the Datpa association. The government gives a compensation of $1,200 to the donors and aid them a year of limited health-insurance. Additionally, working through Datpa, kidney recipients pay donors between $2,300 and $4,500. Importantly, it is illegal for the medical and surgical teams involved or any ‘middleman’ to receive payment. Charity donations are made to those donors whose recipients are unable to pay. The Iranian system began in 1988 and eliminated the shortage of kidneys by 1999. Within the first year of the establishment of this system, the number of transplants had almost doubled; nearly four fifths were from living unrelated sources. This system has exhibited a way to stop organ shortage. Which is to reimburse living donors for their organs. Other countries need to observe this method in the hopes that they will be able to alleviate the lack of organ donors. 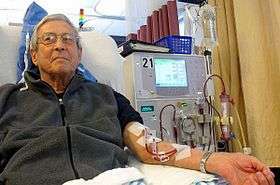 Nobel Laureate economist Gary Becker and Julio Elias estimated that a payment of $15,000 for living donors would alleviate the shortage of kidneys in the U.S. Brain death may result in legal death, but still with the heart beating, and with mechanical ventilation, all other vital organs may be kept alive and functional for a certain period of time. Given long enough, patients who do not fully die, in the complete biological sense, but who are declared brain dead will usually, either after a shorter or longer interval, depending upon the patient's case and the type and extent of trauma and their age and prior health, start to build up toxins and wastes in the body, and the organs (especially sensitive ones like the brain, nerves, heart, blood vessels, lungs, liver, intestines, and kidneys) eventually can dysfunction, have coagulopathies or fluid and electrolyte and nutrient imbalances, or even fail- partially, or completely and irreversibly. Thus, the organs will usually only be sustainable and viable for acceptable use up until a certain length of time (most organs that are transplanted fortunately have widely used and agreed upon parameters, that are measurable and reliable, when determining their welfare and level of function). This will depend on how well the patient is maintained, any other comorbidities, the skill of the medical, nursing, and surgical teams, and the quality of the care and the facilities- and once removed, the time and the mode of transport and how smoothly the transplant procedure (and the care before, during, and after the operation[s]), goes. Given optimal care and oversight, and with the person's (through a directive or driver's license) and/or guardian or next of kin or power of attorney's informed consent, certain cases can provide optimal opportunities for organ transplantation. A major point of contention is whether transplantation should be allowed at all if the patient is not yet fully (biologically) dead, and if brain death is acceptable, whether the person's whole brain needs to have died, or if the death of a part of the brain (i.e., the cerebrum- which makes us human in our intellectual, and indeed all, conscious capacities; or the brain stem- which controls vital organic functions needed for life, like breathing and precise heartbeat regulation) is enough for legal and ethical and moral purposes. Most organ donation for organ transplantation is done in the setting of brain death. However, in Japan this is a fraught point, and prospective donors may designate either brain death or cardiac death – see organ transplantation in Japan. In some nations (for instance, Belgium, Poland, Portugal and France) everyone is automatically an organ donor, although some jurisdictions (such as Singapore, Portugal, Poland, or New Zealand) allow opting out of the system. Elsewhere, consent from family members or next-of-kin is required for organ donation. The non-living donor is kept on ventilator support until the organs have been surgically removed. If a brain-dead individual is not an organ donor, ventilator and drug support is discontinued and cardiac death is allowed to occur. There are also controversial issues regarding how organs are allocated to recipients. For example, some believe that livers should not be given to alcoholics in danger of reversion, while others view alcoholism as a medical condition like diabetes. Faith in the medical system is important to the success of organ donation. Brazil switched to an opt-out system and ultimately had to withdraw it because it further alienated patients who already distrusted the country's medical system. Adequate funding, strong political will to see transplant outcomes improve, and the existence of specialized training, care and facilities also increase donation rates. Expansive legal definitions of death, such as Spain uses, also increase the pool of eligible donors by allowing physicians to declare a patient to be dead at an earlier stage, when the organs are still in good physical condition.Allowing or forbidding payment for organs affects the availability of organs. Generally, where organs cannot be bought or sold, quality and safety are high, but supply is not adequate to the demand. Where organs can be purchased, the supply increases. While some have argued that prisoner participation would likely be too low to make a difference, one Arizona program started by Maricopa County Sheriff Joe Arpaio encourages inmates to voluntarily sign up to donate their heart and other organs. As of mid-2012, over 10,000 inmates had signed up in that one county alone. There are several different religions that have different perspectives. Islam has a conflicting view regarding the issue, with half believing that it is against the religion. However, Muhammed claims his believers should seek medical attention when in need and saving life is a very important factor of the Islamic religion. Buddhism is mostly against the practice, because it disrespects the bodies of ancestors and nature. Christianity is the most lenient on the topic of organ donation, and believe it is a service of life. All major religions accept organ donation in at least some form on either utilitarian grounds (i.e., because of its life-saving capabilities) or deontological grounds (e.g., the right of an individual believer to make his or her own decision). Most religions, among them the Roman Catholic Church, support organ donation on the grounds that it constitutes an act of charity and provides a means of saving a life, consequently Pope Francis is an organ donor. One religious group, The Jesus Christians, became known as "The Kidney Cult" because more than half its members had donated their kidneys altruistically. Jesus Christians claim altruistic kidney donation is a great way to "Do unto others what they would want you to do unto them." Some religions impose certain restrictions on the types of organs that may be donated and/or on the means by which organs may be harvested and/or transplanted. For example, Jehovah's Witnesses require that organs be drained of any blood due to their interpretation of the Hebrew Bible/Christian Old Testament as prohibiting blood transfusion, and Muslims require that the donor have provided written consent in advance. 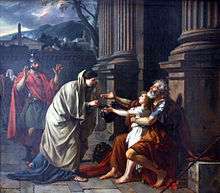 A few groups disfavor organ transplantation or donation; notably, these include Shinto and those who follow the customs of the Gypsies. As of March 2014, about 121,600 people in the United States are on the waiting list, although about a third of those patients are inactive and could not receive a donated organ. Wait times and success rates for organs differ significantly between organs due to demand and procedure difficulty. As of 2007, three-quarters of patients in need of an organ transplant were waiting for a kidney, and as such kidneys have much longer waiting times. At the Oregon Health and Science University, for example, the median patient who ultimately received an organ waited only three weeks for a heart and three months for a pancreas or liver — but 15 months for a kidney, because demand for kidneys substantially outstrips supply. The United States has two agencies that govern organ procurement and distribution within the country. The United Network for Organ Sharing and the Organ Procurement and Transplant Network (OPTN) regulate Organ Procurement Organizations (OPO) with regard to procurement and distribution ethics and standards. OPOs are non-profit organizations charged with the evaluation, procurement and allocation of organs whithin their Designated Service Area (DSA). Once a donor has been evaluated and consent obtained, provisional allocation of organs commences. UNOS developed a computer program that automatically generates donor specific match lists for suitable recipients based on the criteria that the patient was listed with. OPO coordinators enter donor information into the program and run the respective lists. Organ offers to potential recipients are made to transplant centers to make them aware of a potential organ. The surgeon will evaluate the donor information and make a provisional determination of medical suitability to their recipient. Distribution varies slightly between different organs but is essentially very similar. When lists are generated many factors are taken into consideration; these factors include: distance of transplant center from the donor hospital, blood type, medical urgency, wait time, donor size and tissue typing. For heart recipients medical urgency is denoted by a recipients "Status" (Status 1A, 1B and status 2). Lungs are allocated based on a recipients Lung Allocation Score (LAS) that is determined based on the urgency of clinical need as well as the likelihood of benefit from the transplant. Livers are allocated using both a status system and MELD/PELD score (Model for End-stage Liver Disease/Pediatric End-stage Liver Disease). Kidney and pancreas lists are based on location, blood type, Human Leukocyte Antigen (HLA) typing and wait time. 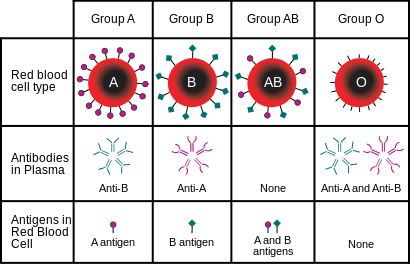 When a recipient for a kidney or pancreas has no direct antibodies to the donor HLA the match is said to be a 0 ABDR mismatch or zero antigen mismatch. 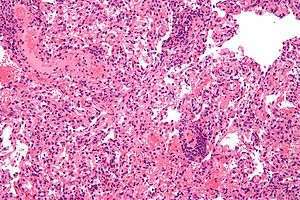 A zero mismatch organ has a low rate of rejection and allows a recipient to be on lower doses of immunosuppressive drugs. Since zero mismatches have such high graft survival these recipients are afforded priority regardless of location and wait time. UNOS has in place a "Payback" system to balance organs that are sent out of a DSA because of a zero mismatch. In 2008, California transplant surgeon Hootan Roozrokh was charged with dependent adult abuse for prescribing what prosecutors alleged were excessive doses of morphine and sedatives to hasten the death of a man with adrenal leukodystrophy and irreversible brain damage, in order to procure his organs for transplant. The case brought against Roozrokh was the first criminal case against a transplant surgeon in the US, and resulted in his acquittal. 1 2 3 "Organ Donation: MedlinePlus". Retrieved July 30, 2016. ↑ "Can You Be Too Old to Donate Organs?". Retrieved August 6, 2016. 1 2 "Organ Donation: The Process". U.S. Department of Health and Human Services. Retrieved July 30, 2016. 1 2 Weaver, Matthew (23 April 2015). "Parents of UK's youngest organ donor hope others will be inspired". The Guardian. London. Retrieved April 24, 2015. ↑ Wilson, Caroline (July 5, 2016). "107-year-old becomes Scotland's oldest organ donor". Evening Times (Glasgow, Scotland). Retrieved August 6, 2016. ↑ "Life Stories: The Nation's Oldest Organ Donor". Retrieved August 6, 2016. ↑ Wharton, Jane (March 2, 2014). "'I don't need two kidneys to knit': Woman, 85, becomes UK's oldest live donor". The Daily Express. Retrieved August 6, 2016. 1 2 Chang, N. K.; Gu, J.; Gu, S.; Osorio, R. W.; Concepcion, W.; Gu, E. (2015). "Arterial Flow Regulator Enables Transplantation and Growth of Human Fetal Kidneys in Rats". American Journal of Transplantation. 15 (6): 1692–1700. doi:10.1111/ajt.13149. ISSN 1600-6135. PMID 25645705. 1 2 3 D'Alessandro, Anthony; Peltier, James; Dahl, Andrew (November 27, 2012). "Use of social media and college student organizations to increase support for organ donation and advocacy: a case report". Progress in Transplantation. 22 (4): 436–41. doi:10.7182/pit2012920. PMID 23187063. ↑ Siminoff, Laura; Agyemang, Amma; Traino, Heather (February 28, 2013). "Consent to organ donation: a review". Progress in Transplantation. doi:10.7182/pit2013801. PMID 23448829. ↑ "Automatic organ donation: the pros and cons". The Week: Science and Health. The Week: Science and Health. Retrieved September 1, 2016. 1 2 3 4 5 Cohen, C (1992). "The Case for Presumed Consent". Transplantation Proceedings. 24 (5): 2168–2172. 1 2 Johnson, Eric J.; Goldstein, Daniel G. (November 21, 2003). "Do defaults save lives?" (PDF). Science. 302 (5649): 1338–9. doi:10.1126/science.1091721. PMID 14631022. Retrieved May 19, 2012. ↑ Thaler, Richard H. (September 26, 2009). "Opting in vs. Opting Out". The New York Times. Archived from the original on March 8, 2014. Retrieved March 7, 2014. ↑ "2012 National Survey of Organ Donation Attitudes and Behaviors". U.S. Department of Health and Human Services: Health Research and Services Administration: 47. September 2013. 1 2 Leins, C (February 12, 2016). "Should the Government Decide if You're an Organ Donor?". U.S. News and World Report. 1 2 "Myth busting". DonateLife. Australian Government Organ and Tissue Authority. My family can overrule my decision to be a donor. Archived from the original on May 22, 2013. Retrieved May 15, 2013. 1 2 Organ Donation Taskforce (2008). "The potential impact of an opt out system for organ donation in the UK." (PDF). United Kingdom: Department of Health. p. 22. Retrieved March 8, 2014. ↑ Rodriguez-Arias, D; Wright, L; Paredes, D (2010). "Success factors and ethical challenges of the Spanish Model of organ donation". Viewpoint. 376 (9746): 1109. doi:10.1016/S0140-6736(10)61342-6. ↑ Rithalia, A; McDaid, C; Suekarran, S; Norman, G; Myers, L; Sowden, A (2009). "A systematic review of presumed consent systems for deceased organ donation". Health Technol. 13 (26). ↑ Ofri, Danielle (February 16, 2012). "In Israel, A New Approach to Organ Donation". The New York Times. Retrieved October 1, 2016. ↑ "Organ Procurement and Transplantation Network". U.S. Department of Health & Human Services. Retrieved October 11, 2015. ↑ "Need continues to grow". U.S. Department of Health & Human Services. Retrieved October 11, 2015. ↑ Orentlicher, David (2009). "Presumed Consent to Organ Donation: Its Rise and Fall in the United States" (PDF). Rutgers Law Review. 61 (2): 295–331. 1 2 3 4 Tabarrok, Alex (January 8, 2010). "The Meat Market". The Saturday Essay. The Wall Street Journal. ↑ Carney, Scott. "The Case for Mandatory Organ Donation". Wired. Conde Naste. Retrieved February 13, 2015. ↑ "Fact Sheet: Bone Marrow or Organ Donor Leave". Pay & Leave: Leave Administration. United States Office of Personnel Management. Retrieved October 8, 2016. 1 2 3 4 5 6 7 "Donor Leave Laws and Tax Deductions/Credits for Living Donors" (PDF). Donor Leave Laws and Tax Deductions/Credits for Living Donors. National Kidney Foundation. Retrieved October 8, 2016. ↑ "H.R.4616 - Living Donor Protection Act of 2016". Congress.gov. Library of Congress. Retrieved October 8, 2016. ↑ Molen, M. Lane (May 1, 2007). "Recognizing the Larger Sacrifice: Easing the Burdens Borne by Living Organ Donors through Federal Tax Deductions". Brigham Young University Journal of Public Law. 21 (2): 459. Retrieved October 8, 2016. 1 2 "42 U.S. Code § 274e - Prohibition of organ purchases". Legal Information Institute. Cornell University Law School. Retrieved October 8, 2016. 1 2 Milot, Lisa (2008). "The Case Against Tax Incentives for Organ Transfers" (PDF). Willamette Law Review. 45 (1): 67. Retrieved October 8, 2016. ↑ Clamon, Joseph (2008). "Tax Policy as a Lifeline: Encouraging Blood and Organ Donation through Tax Credits". Annals of Health Law. 17 (1): 67. Retrieved October 8, 2016. ↑ Rudge, C; Matesanza, R; Delmonico, F.L. ; Chapman, J (2012). "International practices of organ donation". Br J of Anaesth. 108 (1): i48. doi:10.1093/bja/aer399. ↑ Wiggins, Ovetta. "Pa. organ donors get $300 boost It pays for food or lodging for them or their family. A bigger plan's rejection rankles some.". Philly.com. Philadelphia Media Network. Retrieved February 28, 2015. ↑ Conte, Andrew; Fabregas, Luis. "Drivers' $1 donation yields little for Pennsylvania organ donors and their families". Trib Live. Trib Total Media LLC. Retrieved October 8, 2016. 1 2 "Financial Incentives for Organ Donation". National Kidney Foundation. National Kidney Foundation. Retrieved October 8, 2016. ↑ Krauthammer, Charles. "Yes, Let's Pay for Organs". Time. Time Inc. Retrieved February 28, 2015. ↑ Gormley, Michael (April 27, 2010). "New York To Be First Organ Donor Opt-Out State?". New York. The Huffington Post. New York City. Archived from the original on April 30, 2010. Retrieved March 7, 2014. ↑ "Organ donation opt-out system given go-ahead in Wales". BBC News. July 2, 2013. Archived from the original on March 8, 2014. Retrieved March 7, 2014. ↑ "Organ donation law 'revolution' starts in Wales". BBC. Retrieved December 1, 2015. ↑ "MEPs back Europe organ donor card". BBC News. April 22, 2008. Archived from the original on August 2, 2012. Retrieved March 8, 2014. ↑ "Come donare" [How to Donate] (in Italian). Ministry of Health (Italy). Archived from the original on March 8, 2014. Retrieved January 13, 2013. ↑ Jones, Meg (April 23, 2011). "A Soldier's Death Gives Life to Another Man". United States: Pulitzer Center on Crisis Reporting. Archived from the original on August 26, 2013. Retrieved March 8, 2014. 1 2 Vincent, A.; Logan, L. (January 1, 2012). "Consent for organ donation". British Journal of Anaesthesia. 108 (suppl 1): i80–i87. doi:10.1093/bja/aer353. ISSN 0007-0912. PMID 22194436. 1 2 Wicks, Mona Newsome (April 25, 2000). "Brain Death and Transplantation: The Japanese". Medscape Transplantation. Medscape. Retrieved March 8, 2014. ↑ Vyas, Hetel (January 14, 2013). "State goes slow on stiffer jail term for organ scamsters". The Times of India. Archived from the original on March 8, 2014. Retrieved March 7, 2014. ↑ Kurup, Deepa (January 4, 2013). "Expendable cogs in a well-oiled racket". The Hindu. India. Archived from the original on March 10, 2013. Retrieved March 7, 2014. ↑ "Govt amends Transplantation of Human Organs Act". Zee News. India. March 17, 2011. Archived from the original on March 8, 2014. Retrieved March 7, 2014. ↑ "National Workshop of transplant coordinators provides guidelines". The Hindu. India. March 7, 2013. Archived from the original on May 11, 2013. Retrieved March 7, 2014. ↑ Dhar, Aarti (December 19, 2009). "Organ Transplant Bill tabled". The Hindu. Archived from the original on March 8, 2014. Retrieved March 8, 2014. ↑ The Transplantation of Human Organs (Amendment) Bill, 2011, Act No. 136-C of 2009. Retrieved on 8March , 2014. ↑ Sreeraman (November 23, 2009). "Amendments in Transplantation of Human Organ Act, 1994". Medindia. Archived from the original on March 8, 2014. Retrieved March 8, 2014. ↑ Shroff, Sunil (Jul–Sep 2009). "Legal and ethical aspects of organ donation and transplantation". Indian J. Urol. 25 (3): 348–55. doi:10.4103/0970-1591.56203. PMC 2779960 . PMID 19881131. ↑ Shroff, Sunil (2009). "Organ Donation and Transplantation in India – Legal Aspects & Solutions to Help With Shortage of Organs". J. Nephrol. Ren. Transplant. 2 (1): 23–34. ISSN 1918-0268. ↑ "Illegal organ transplant can attract 10-year jail". The Hindu. August 13, 2011. Archived from the original on March 8, 2014. Retrieved March 8, 2014. ↑ "Ann 4 THOA ACT 2011" (PDF). Organ Retrieval Banking Organization. Archived (PDF) from the original on March 8, 2014. Retrieved March 8, 2014. ↑ "Lok Sabha approves tougher organ transplant Bill". India Today. August 13, 2011. Archived from the original on August 21, 2013. ↑ "RS seal on amendment to human organs bill". The Times of India. August 27, 2011. ↑ Express News Service (August 13, 2011). "LS okays amendments to organ transplantation Bill". Archive. The Indian Express. India. Archived from the original on March 8, 2014. Retrieved March 7, 2014. ↑ Kannan, Ramya (January 22, 2002). "Organ donation gains momentum". Southern States. The Hindu. India. Archived from the original on March 8, 2014. Retrieved March 8, 2014. ↑ Kannan, Ramya (February 28, 2003). "High time to streamline organ transplants". Southern States. The Hindu. India. Archived from the original on December 13, 2013. Retrieved March 8, 2014. ↑ Raman, Usha (July 25, 2002). "Living after death". Metro Plus Hyderabad. The Hindu. India. Archived from the original on November 29, 2010. Retrieved March 8, 2014. ↑ Joseph, Lison (January 28, 2004). "Organ transplantation help at hand". Hyderabad. The Times of India. Archived from the original on March 8, 2014. Retrieved October 31, 2016. ↑ "Cadaveric Organ Donation Figures". MOHAN Foundation. INOS Figures (2000–2009). Archived from the original on January 2, 2014. Retrieved March 8, 2014. ↑ Navin, Sumana (2008). "Government Orders on Organ Donation and Transplantation From Tamil Nadu Health Department". MOHAN Foundation. Archived from the original on December 11, 2013. Retrieved March 8, 2014. ↑ Srinivasan, Sandhya (2013). "Has Tamil Nadu turned the tide on the transplant trade?". BMJ. United Kingdom. 346: f2155. doi:10.1136/bmj.f2155. PMID 23585066. ↑ "Gift a life! It's easy - Donate your tissues and organs : PSN". Retrieved September 7, 2016. 1 2 Reddy, Sunil K. Vemuru; et al. (January–March 2011). "Live related donors in India: Their quality of life using world health organization quality of life brief questionnaire". Indian J. Urol. 27 (1): 25–9. doi:10.4103/0970-1591.78411. PMC 3114583 . PMID 21716885. ↑ "Sri Lanka donates eyes to the world". Foxnews.com. Associated Press. January 23, 2012. Archived from the original on January 23, 2014. Retrieved March 9, 2014. ↑ "Human Tissue Act 2008". New Zealand Legislature. July 1, 2013. Public Act 2008 No 28. Retrieved August 10, 2015. ↑ "Number of deceased organ donors in New Zealand". Statistics. Organ Donation New Zealand. Archived from the original on May 30, 2014. 1 2 3 4 5 "Organ and tissue donation". Getting a license. NZ Transport Agency. ↑ "Kidney Donation". Nephrology Department, Christchurch Hospital, New Zealand. Canterbury District Health Board. October 2011. Archived from the original on November 29, 2014. 1 2 Ghods, Ahad J.; Savaj, Shekoufeh (November 2006). "Iranian Model of Paid and Regulated Living-Unrelated Kidney Donation". Clinical Journal of the American Society of Nephrology. doi:10.2215/CJN.00700206. PMID 17699338. ↑ Easterbrook, Gregg. "Organ Donation: Where Your Religion Stands". BeliefNet. Archived from the original on November 10, 2013. Retrieved March 9, 2014. Despite popular misconceptions, there are almost no religious rules against donating organs or receiving transplants. A few denominations ban these practices, and a few others have rules that are not models of clarity. This is the first of two pages. ↑ Zargooshi, Javaad (2001). "Quality of life of Iranian kidney "donors"". J. Urol. 166 (5): 1790–9. doi:10.1016/S0022-5347(05)65677-7. PMID 11586226. 1 2 Goyal, Madhav; et al. (2002). "Economic and health consequences of selling a kidney in India". JAMA. 288 (13): 1589–93. doi:10.1001/jama.288.13.1589. PMID 12350189. ↑ Sidner, Sara; Eastment, Tess (January 29, 2008). "Police hunt for doctor in kidney-snatching ring". CNN. Archived from the original on November 9, 2012. Retrieved March 8, 2014. ↑ Matas, David; Kilgour, David (January 31, 2007). "Bloody Harvest: Report into Allegations of Organ Harvesting of Falun Gong Practitioners in China" (PDF). Archived (PDF) from the original on February 15, 2014. Retrieved March 8, 2014. ↑ Adams, David (May 27, 2003). "Organ trafficking suspected in mass murder case". The Times. United Kingdom. Archived from the original on March 9, 2014. Retrieved October 31, 2016. ↑ Kelly, Annie (September 6, 2009). "Child sacrifice and ritual murder rise as famine looms". The Guardian. London. Archived from the original on February 14, 2014. Retrieved March 7, 2014. ↑ Carney, Scott (May 8, 2007). "Why a Kidney (Street Value: $3,000) Sells for $85,000". Wired. Archived from the original on July 29, 2013. Retrieved March 8, 2014. ↑ Jan, Sadaqat (November 12, 2006). "Poor Pakistanis Donate Kidneys for Money". The Washington Post. Associated Press. Archived from the original on February 9, 2013. Retrieved October 31, 2016. ↑ Sarvestani, Nima (October 31, 2006). "Iran's desperate kidney traders". BBC News. Archived from the original on November 13, 2013. Retrieved March 8, 2014. ↑ Carney, Scott (May 8, 2007). "Inside 'Kidneyville': Rani's Story". Wired. Archived from the original on June 23, 2013. Retrieved March 8, 2014. ↑ Scheper-Hughes, Nancy. "The new cannibalism". Berkeley Digital Library SunSITE. University of California, Berkeley. Archived from the original on May 3, 2009. ↑ Stix, Gary (January 4, 2011). "Donate Your Brain, Save a Buck". Scientific American. 304 (1): 29. doi:10.1038/scientificamerican0111-29a. Retrieved March 8, 2014. 1 2 Heisler, Jennifer (June 29, 2013). "Organ Donation After Brain Death". About.com. Retrieved March 9, 2014. 1 2 3 Sanford, John; Dubois, Gėrard (Spring 2011). "When Are You Dead?". Stanford Medicine Magazine. United States: Stanford University School of Medicine. Archived from the original on November 15, 2013. Retrieved March 9, 2014. 1 2 Bird, Shiela M.; Harris, John (2010). "Time to move to presumed consent for organ donation". Analysis. BMJ. 340: c2188. doi:10.1136/bmj.c2188. PMID 20442244. ↑ R.M. (anonymous) (December 7, 2011). "Organ sales: Paying to live" (blog). The Economist. London. Archived from the original on June 19, 2013. Retrieved March 9, 2014. Iran adopted a system of paying kidney donors in 1988 and within 11 years it became the only country in the world to clear its waiting list for transplants. ↑ Appel, Jacob (May–June 2005). "Organ Solicitation on the Internet: Every Man for Himself?". Hastings Cent. Rep. 35 (3): 14–15. doi:10.1353/hcr.2005.0052. PMID 16092393. ↑ "How Spain became the World Leader in Organ Donations". United States of america: Newsweek. Archived from the original on January 6, 2014. Retrieved August 24, 2016. ↑ "Trasplantes" [Transplants] (in Spanish). Spain: National Transplant Organization. Los españoles, un ejemplo imitado. Archived from the original on January 6, 2014. Retrieved March 9, 2014. ↑ "More countries hope to copy Spain's organ-donation success". Canadian Medical Association. September 29, 2003. Archived from the original on August 28, 2009. Retrieved March 31, 2011. ↑ "U.S. Statement On Prison Status and Organ Allocation". United Network for Organ Sharing. June 2, 2002. Archived from the original on September 26, 2006. Retrieved December 20, 2009. 1 2 3 Wiegand, Steve (January 25, 2002). "State inmate gets new heart; 'Medically necessary care' is required by law, an official says". The Sacramento Bee. ↑ Ingalls, Chris (April 8, 2005). "Prison inmate awaits organ transplant" (PDF). KING-TV. Association of Washington Cities. Archived from the original (PDF) on January 6, 2009. Retrieved December 20, 2009. ↑ Killer in Need of a Kidney Starts Ethics Row, Lee Douglas – Chicago Tribune, May 29, 2003, at 10. ↑ Perry, David L. "Should Violent Felons Receive Organ Transplants?". Markkula Center for Applied Ethics. Retrieved December 20, 2009. ↑ Guidelines for Preventing HIV Through Transplantation of Human Tissue and Organs, CDC Recommendations and Reports, May 20, 1994 /43(RR-8); 1–17. ↑ O'Reilly, Kevin B. (April 9, 2007). "Prisoner organ donation proposal worrisome". American Medical News. Archived from the original on September 30, 2013. Retrieved March 8, 2014. ↑ http://www.gavelife.org – Organization established to advocate for organ donations from prisoners. ↑ "Sheriff Teaches Inmates to "Have a Heart" By Volunteering To Give Up Theirs". Committee to Re-Elect Joe Arpaio 2008. June 13, 2007. Archived from the original on January 14, 2009. Retrieved October 20, 2008. ↑ http://www.msco.org – See Maricopa County's "I DO" program. ↑ "Inside the Kidney Cult". The Sydney Morning Herald. March 30, 2008. Archived from the original on April 17, 2012. Retrieved March 8, 2014. ↑ "(untitled)" (Microsoft PowerPoint). Give and Let Live. United Kingdom: NHS Blood and Transplant. Archived from the original on March 8, 2014. Retrieved March 8, 2014. 1 2 3 4 "Statements from Religions". American Red Cross. Jehovah's Witness. Archived from the original on September 17, 2008. Retrieved July 22, 2008. ↑ "Shinto: Organ donation". BBC. September 16, 2009. Archived from the original on December 29, 2013. Retrieved March 8, 2014. ↑ Howard, David H. (2007). "Producing Organ Donors". Journal of Economic Perspectives. 21 (3): 25–36. doi:10.1257/jep.21.3.25. PMID 19728420. ↑ Massey, Emma K.; Hilhorst, Medard T.; Nette, Robert W.; Smak Gregoor, Peter J. H.; van den Dorpel, Marinus A.; van Kooij, Anthony C.; Zuidema, Willij C.; Zietse, R.; Busschbach, Jan J. V.; Weimar, Willem (2011). "Justification for a home-based education programme for kidney patients and their social network prior to initiation of renal replacement therapy". Journal of Medical Ethics. 37 (11): 677–681. doi:10.1136/jme.2011.042366. PMID 21613647. ↑ Kaufman, Sharon R.; Russ, Ann J.; Shim, Janet K. (February 2006). "Aged bodies and kinship matters: The ethical field of kidney transplant". American Ethnologist. 33 (1): 81–99. doi:10.1525/ae.2006.33.1.81. PMID 18461150. Preprint available. ↑ Stein, Rob (March 22, 2008). "A Third of Patients On The Transplant List Are Not Eligible". The Washington Post. Archived from the original on February 9, 2013. Retrieved October 31, 2016. ↑ "Resources – General Public". California Transplant Donor Network. Waiting List Statistics. Archived from the original on August 19, 2010. Retrieved March 31, 2011. ↑ "OHSU Transplant Program". Oregon Health & Science University. March 16, 2011. Retrieved March 31, 2011. Link redirects to page without the required information; original page has been excluded from Internet Archive. ↑ "Organ & Tissue Donation Western Australia (WA)" (PDF). DonateLife in Western Australia. Archived from the original (PDF) on September 27, 2007. Retrieved March 31, 2011. ↑ "Lions Eye Institute: Lions Eye Bank". Lei.org.au. June 30, 2011. Retrieved May 19, 2012. 1 2 3 Dubner, Stephen J.; Levitt, Steven D. (July 9, 2006). "Flesh Trade". New York Times. 1 2 Thaler, Richard H. (September 26, 2009). "Opting In vs. Opting Out". New York Times. ↑ Ghods AJ, Savaj S (2006). "Iranian model of paid and regulated living-unrelated kidney donation". Clin J Am Soc Nephrol. 1 (6): 1136–45. doi:10.2215/CJN.00700206. PMID 17699338. ↑ "Financial Incentives for Organ Donation". Archived from the original on May 17, 2013. After May 2013, this page was no longer available for archiving; in March 2014, searches of the kidney.org site did not reveal a comparable statement in current online materials. ↑ Richard Schwindt; Aidan Vining (1998). "Proposal for a Mutual Insurance Pool for Transplant Organs". Journal of Health Politics, Policy and Law. 23 (5): 725–41. doi:10.1215/03616878-23-5-725. 1 2 3 4 5 Rob Stein (September 13, 2007). "New Zeal in Organ Procurement Raises Fears". The Washington Post. The Washington Post Company. Retrieved May 2, 2008. ↑ Solving the Organ Shortage. Center for Ethical Solutions. Retrieved July 8, 2009. Archived April 13, 2009, at the Wayback Machine. 1 2 Figueiredo FM, Capaverde FB, Londero GG, et al. (March 2007). "Organ donation in suicides". Transplant. Proc. 39 (2): 344–5. doi:10.1016/j.transproceed.2007.01.015. PMID 17362725. ↑ Moraes BN, Bacal F, Teixeira MC, et al. (April 2009). "Behavior profile of family members of donors and nondonors of organs". Transplant. Proc. 41 (3): 799–801. doi:10.1016/j.transproceed.2009.02.043. PMID 19376356. ↑ Jesse McKinley (February 27, 2008). "Surgeon Accused of Speeding a Death to Get Organs". The New York Time. The New York Times Company. Retrieved May 2, 2008. ↑ J.H. Huebert (September 24, 1999). "Human Organs and Ebay: A Combination That Could Save Lives". The Collegian. Archived from the original on July 7, 2007. Retrieved November 17, 2009. 1 2 Reinhart, A. M. and A. E. Anker (2012). "An Exploration of Transportation and Psychological Reactance in Organ Donation PSAs." Communication Research Reports 29(4): 274–284. ↑ Feeley, TH; Peltier, JW; D'Alessandro, AM; Dahl, AJ (2013). "A sequential decision framework for increasing college students' support for organ donation and organ donor registration". Progress in Transplantation. 1 2 Peltier, James W., Anthony M. Allessandro, and Andrew J. Dahl. "Use of Social Media and College Student Organizations to Increase Support for Organ Donation and Advocacy: A Case Report." Progress in Transplantation (2012): 436–41.